The Bill creates an ongoing obligation for ‘Reporting Entities’ to file a modern slavery statement (Statement) – being a report on the steps the entity has taken to assess and address risks of modern slavery in its operations and its supply chains during a reporting period. To discover what you need to know and how to prepare for the commencement of this Bill, click here. Australia’s Joint Standing Committee on Foreign Affairs, Defence and Trade (‘Committee’) has handed down its final report in its inquiry into establishing a Modern Slavery Act in Australia. The inquiry included consideration of the Australian Government’s announcement in August 2017 that it would adopt the Committee’s in principle recommendation in the interim report to introduce a modern slavery reporting requirement. On 16 August 2017, the Australian Government announced a proposal to introduce a modern slavery reporting requirement applying to all large Australian businesses. 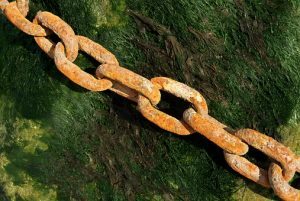 The proposal, which enjoys broad support from a number of prominent Australian businesses, feeds into the growing emphasis on addressing modern slavery risks within the supply chains of Australian businesses. Prominent social activist, the Australasian Centre for Corporate Responsibility (ACCR), is currently pursuing a campaign to requisition resolutions regarding the same issue at upcoming listed company AGMs. What is the rationale for the new reporting requirement? What due diligence obligations will businesses have? When will the reporting requirement be introduced? What has been the response of the business community? How can Australian businesses respond to the reporting requirement? What is the recent activist campaign in relation to modern slavery? The DWP has launched an employer "See Potential" toolkit to help employers retain and recruit workers from disadvantaged groups, including single parents, recovering addicts and care providers. Acas has updated its guidance on employment status. To coincide with ONS data breaking down suicide rates by occupation, Public Health England (PHE), Business in the Community (BITC) and Samaritans have joined forces to produce suicide prevention and postvention toolkits for employers, including advice on steps employers can take action to prevent suicides and support them and their teams when responding to the death of an employee caused by suicide. The Chartered Institute of Building has published a toolkit for tackling modern slavery in the construction sector. The UK Modern Slavery Act 2015 (Act) requires certain businesses to prepare and publish a slavery and trafficking statement for each financial year from the year ending 31 March 2016. This may impact organisations in Asia where, for example, the business activities of a subsidiary form part of the supply chain of a UK business or where organisations are striving towards eradicating human rights abuses in their business and supply chains. Is your company compliant? Concerns in relation to “modern slavery” are increasingly important for businesses to recognise. This is especially so in Asia, where poor enforcement mechanisms and unfamiliarity with employee rights often result in exploitative working conditions. What can companies do to ensure that their business and supply chains are free from unethical labour practices? A new UK supply chain reporting obligation came into force on 29 October 2015. Any large (worldwide turnover of £36 million or more) commercial organisation carrying on business in the UK, wherever incorporated, is required to comply. We issued a briefing on the new reporting requirement in August 2015. An update of that briefing, which reflects the commencement date and Government guidance, is available here. New national minimum wage rates, the adult rate increasing from £6.50 to £6.70 an hour. Employment tribunals have lost their power to make wider recommendations for employers to take remedial action in successful discrimination claims; they can now only make recommendations that would benefit the particular claimant (and therefore not where the claimant has left the job). Sikh workers now have the right to wear a turban instead of a safety helmet in most workplaces (subject to various exceptions).